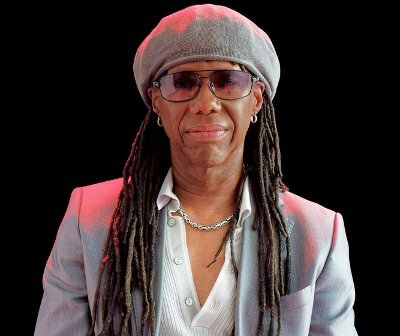 Nile Rodgers is the new Chief Creative Adviser at London's Abbey Road Studios. According to the BBC, Rodgers will be developing new talent as well as working with well established pop and rock stars. Rodgers, who is best known for his group Chic ("Le Freak", "Good Times") has also had a very successful career as a producer, being responsible for David Bowie's "Let's Dance", Diana Ross' "I'm Comin' Out", Daft Punk's "Get Lucky", Madonna's "Like a Virgin", Duran Duran's "The Reflex", Sister Sledge's "We Are Family", the B-52's "Roam" and many more. Nile told the BBC that Abbey Road is far from an antiquated facility, investing regularly in new technologies. "I want to be where that new stuff is happening - because I'm an audio fanatic and I want my new stuff to sound amazing." As far as the studio's history, he said "But Abbey Road is Abbey Road, man. Every day I come to work, there's always somebody out there recreating the zebra crossing scene [from The Beatles' Abbey Road album cover]. Every single day." For now, Rodgers is using the studio in London to finish up the new Chic album but he has big plans for other artists in the near future. We are honoured to announce that multiple Grammy Award winning producer, guitarist, arranger and composer Nile Rodgers has been appointed the specially created role of Chief Creative Advisor at Abbey Road Studios. In a unique partnership celebrating a shared legacy and vision for creative innovation, Nile Rodgers will establish Abbey Road Studios as his primary creative base in the UK and serve as the Studios’ global ambassador within the artist and creative community. From Good Times to Get Lucky, Nile Rodgers' unrivalled track record is a mere glimpse of what's yet to come.